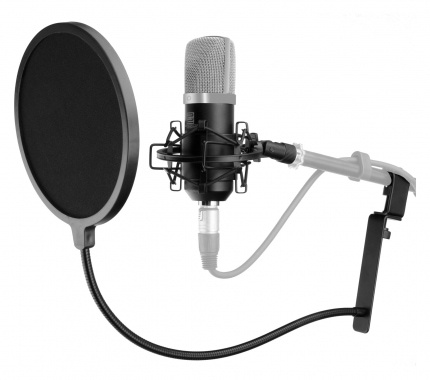 Professional condenser microphone for studio recording! The new Pronomic CM-22 is a professional large-diaphragm microphone that is ideal for demanding studio applications. 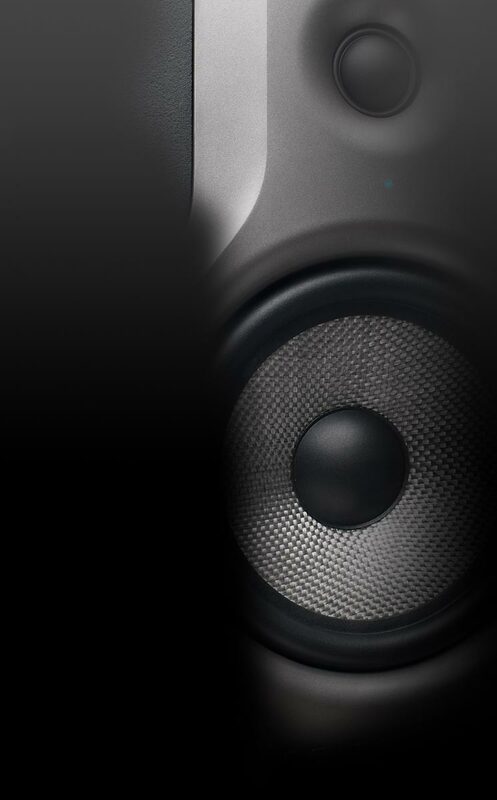 The FET technique (field effect transistor) provides high-quality signal transmission on a completely analog basis, provides a silky, warm sound and it's the first choice in the studio for recording vocals and acoustic instruments, such as guitar, strings or percussion. The gold coated 1.25" membrane and the FET preamp produce a balanced, wide range response with low noise - an absolute must for professional recordings! 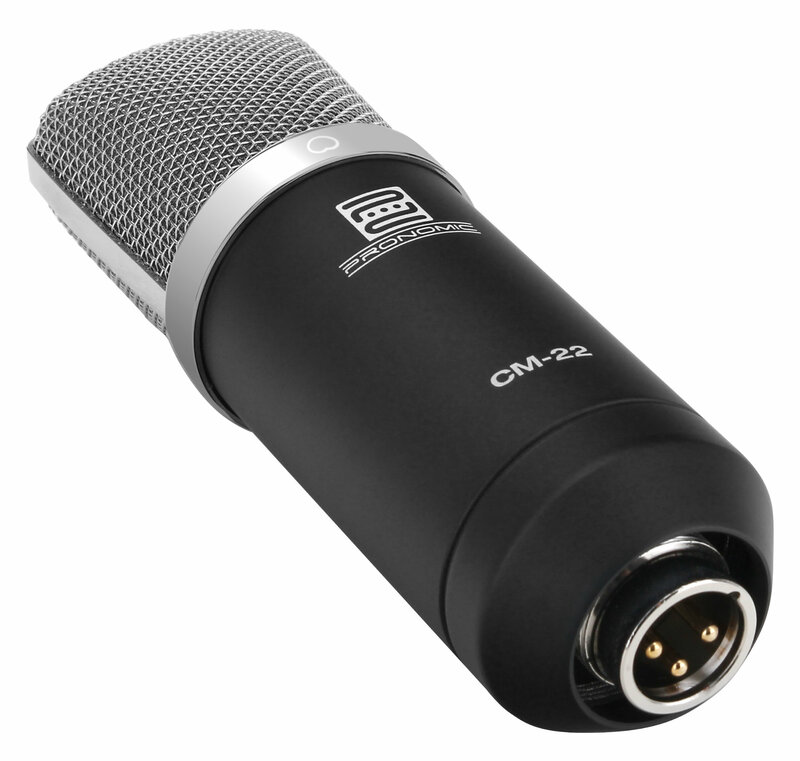 The stability over the entire frequency range makes the CM-22 a true all-rounder for many applications. 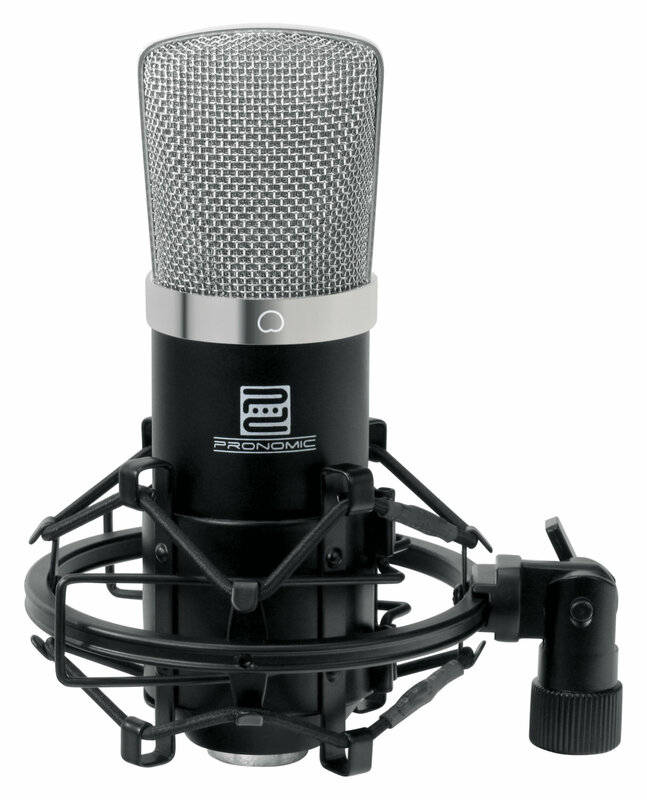 The use of a second CM-22 as a stereo pair provides the possibility of high-quality stereo recording (drum overheads, classic or traditional groups, radio play, etc.). 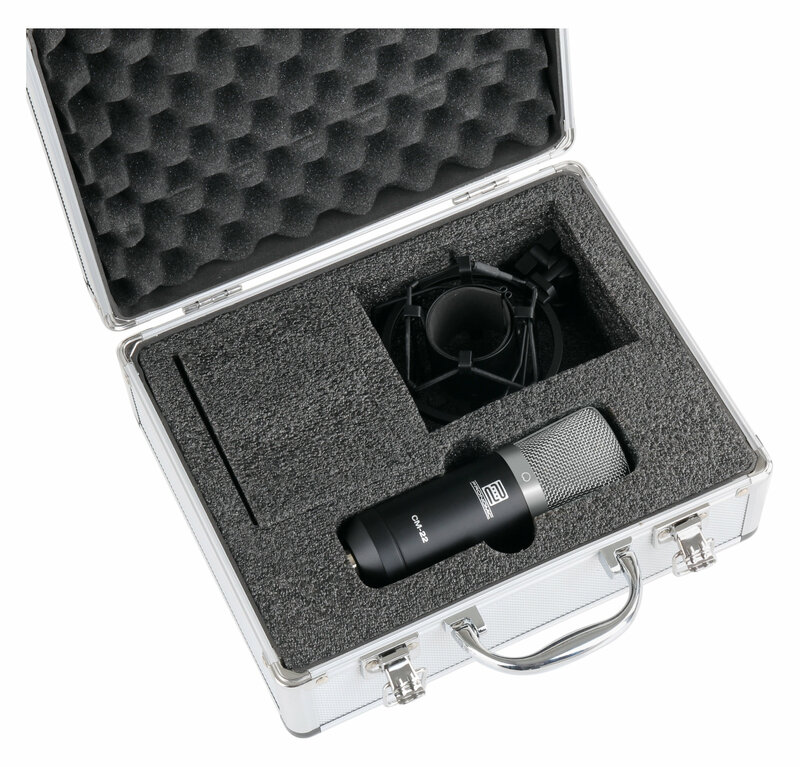 The CM-22 is supplied with a high quality shock mount (5/8"" thread), a padded synthetic leather pouch and a carrying case. 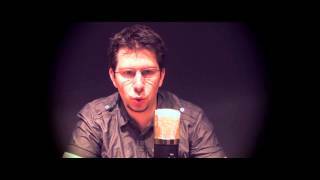 The set also contains a practical pop filter.